Stand tall, proud soldier. Your paycheck depends on it. The history of warfare is all about one-upsmanship. One side gets a new toy, the other gets a better one. It’s pretty childish when you think about it. In modern times, we do this dance with military technology, spending billions on airplanes, missiles and other weapons of mass destruction to intimidate those who would do our nation harm. But before the modern era, rulers didn’t have access to that kind of science. So they had to get creative. Frederick William I of Prussia was known as the “Soldier King” for his monomaniacal devotion to the army. He lived frugally, abandoning the lavish lifestyle of a king in favor of spending money on schools and hospitals. But Frederick had one obsession that he indulged to the fullest: tall dudes. The Prussian Sixth Infantry Regiment was informally known as the “Lange Kierls” or “Tall Men,” and they were King Frederick’s personal project. To join up, you had to be at least 6'2", but the taller the better. He recruited thousands of men from all over Europe and assembled them into the most vertically advantaged fighting force that the world has ever seen, dubbed by foreigners the Potsdam Giants. Aside from the intimidation factor, there’s no real reason to favor tall soldiers. Some historians have speculated that their long arms could help them muzzle-load a rifle faster, but that’s doubtful. In fact, a bigger soldier isn’t good for much besides being a bigger target. It really seems like the giants existed just for Frederick’s personal pleasure. 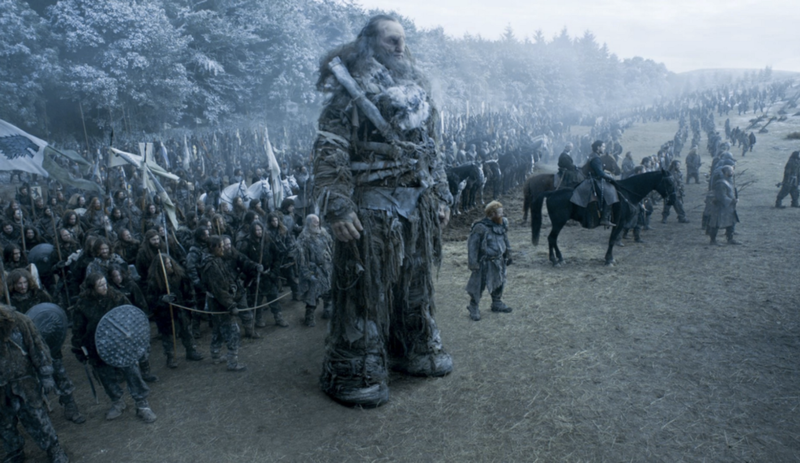 The King went to great lengths to secure giants for his brigade. One of the tallest men he had, an 7'1" Irish guy named James Kirkland, was offered a job as a footman for the Prussian ambassador in London. That position was a sham, and when Kirkland showed up for work he was conscripted into the army. Prussia would also accept tall folks from other countries in exchange for diplomatic favors. The majority of the Potsdam Giants were unsuited for combat and had no interest in war. You didn’t even need to be of legal age to be considered for the battalion. A royal decree had babies born of tall parents given a red scarf to identify them as potential tall adults, and he even introduced a breeding program where the tallest men were matched up with equally hulking women in the hopes that they’d pass their freakish height along to their offspring. King Frederick never actually sent his enormous men into war. For all of his military buildup, he was a remarkably peaceful ruler. Instead, he decked his big soldiers out in red and blue uniforms and topped their heads with an 18-inch cap to make them look even taller. The Potsdam Giants were treated quite well. Their paychecks varied based on their height, with the largest men taking home the most money. The King’s obsession with the army drove a wedge between himself and his eldest son. Frederick II was raised in accordance with his dad’s values — he was forced to live a Spartan lifestyle, and at age six, he was given his own regiment of children to do cadet drills with. He rebelled and tried to flee Europe with his tutor, but the King caught them and ordered the tutor beheaded. Then he threw Frederick II in prison. As King Frederick grew old and infirm, one of the few sources of joy in his life was having some of his giants brought into his bedchamber to march around the room. He passed away in 1740 at the age of 51. The Soldier King’s experiments weren’t all folly. When his son Frederick II took the throne, he used the military infrastructure his dad had built to greatly increase Prussia’s power in Europe. The Giants weren’t a big part of that, though — the 3,200 men were split up into other battalions, turned back to ordinary soldiers without the advantage that their height once brought them. The spirit of the brigade lives on, though — a re-enactment society in Potsdam gets together in uniform to remind locals that giants once walked among them.